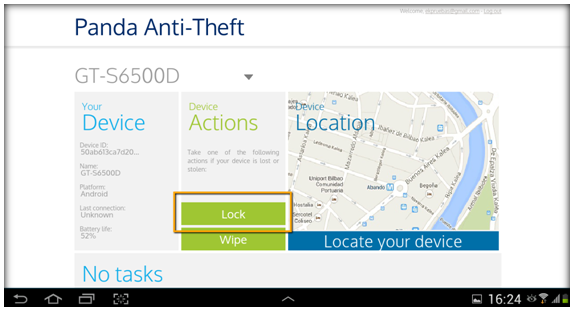 How do I lock my lost or stolen device with Panda Mobile Security? Scroll to the Panda Anti-Theft section and click Access Panda Anti-Theft. Select the device you want to block, click Lock and enter the lock password. The next time you want the device to be unlocked, you will need to enter this password, so keep it in a safe place. If you lose it, you will be able to change it from your Panda Account and your old password will be reset.